Such a lovely day today. We drove home from church with the windows open in the van! Glorious, sunny warmth! 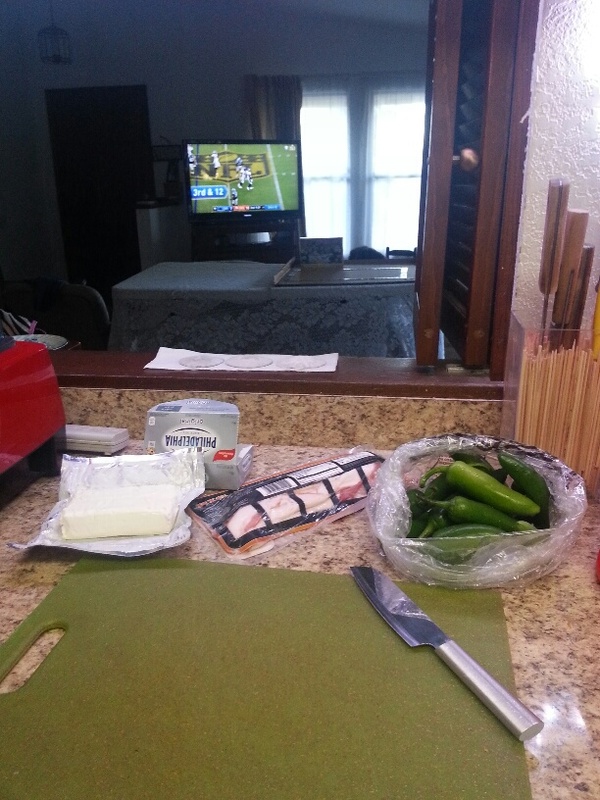 When we got home and had a bite to eat to tide us over till later, I intended to start on my jalapeno poppers for the big game. 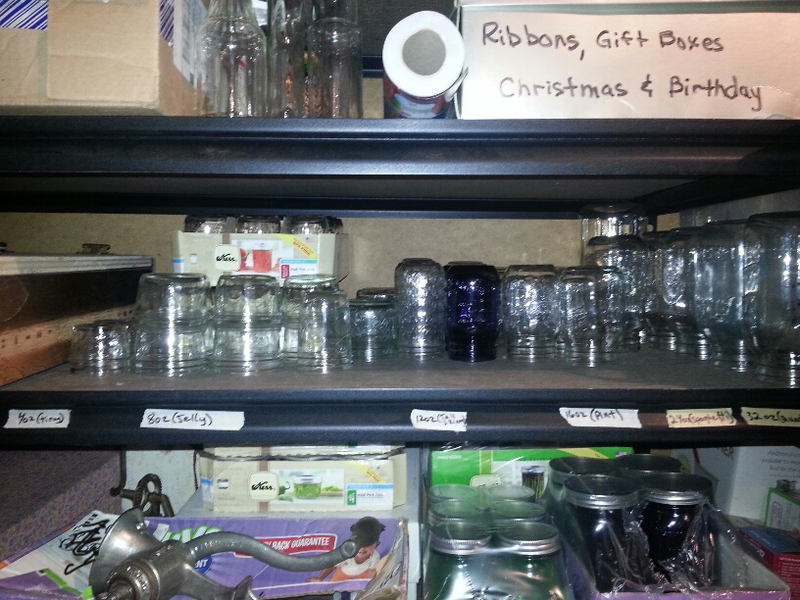 But there were a bunch of empty jars on the counter which needed to go back out to the garage. 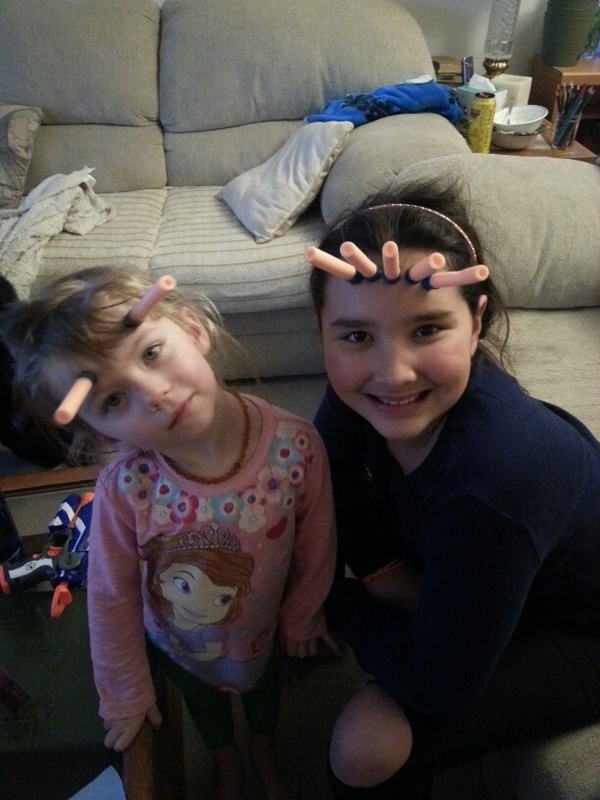 I took them out and got distracted by the chaos. I mean, where was I to put another couple of jars?? 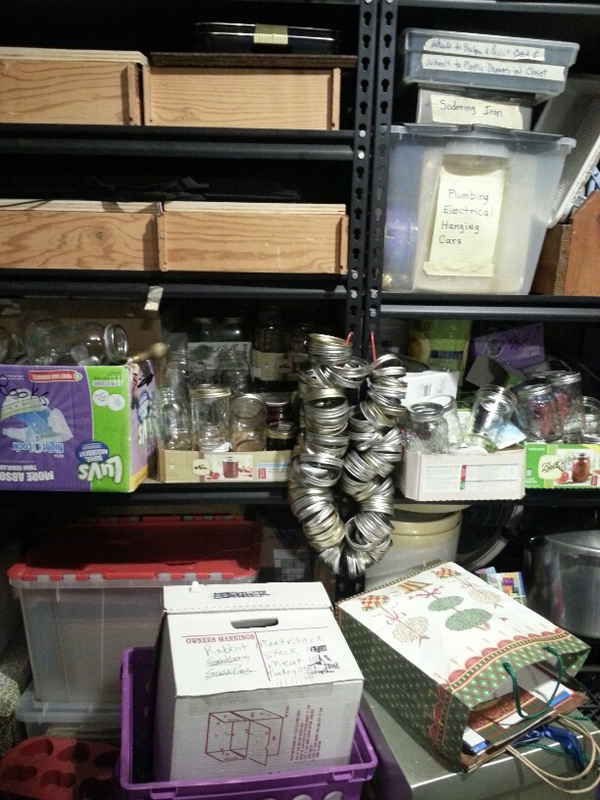 Empty jars on all available surfaces, empty boxes taking up valuable space, filled boxes on the floor in front of the shelves. Yeah, it wasn’t pretty. After a couple hours of work, it was much cleaner and useable. One of the features I like the most is that I finally have a dedicated spot for my empty jars to go. Labeled spots for them so that no one has an excuse for not putting them away where they belong! 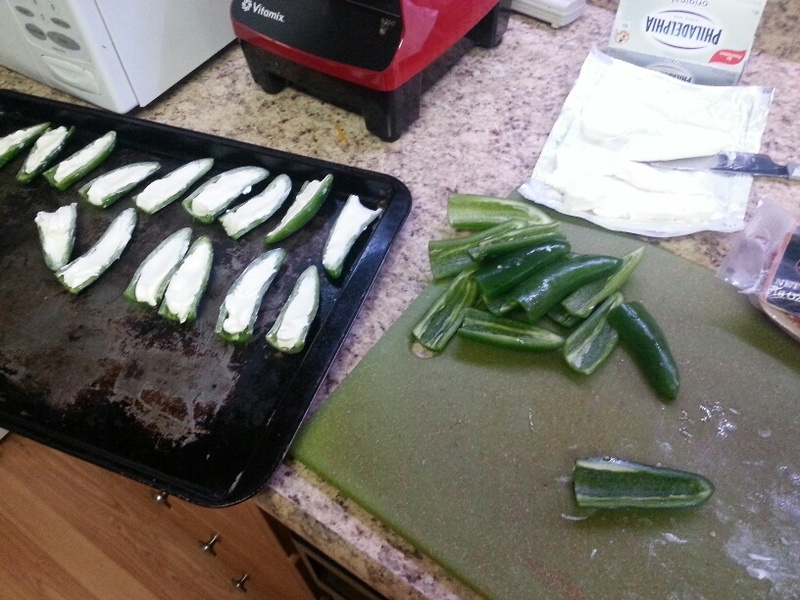 Well, by the time I finished up in the garage, the game was just about to begin, so it was definitely time to get those stuffed jalapenos made. Now, I’m not a huge fan of spicy foods, but I enjoy the flavor of jalapenos, especially when paired with cream cheese. And bacon? Well, bacon makes just about everything better! And by carefully cleaning out the seeds and membranes from the peppers, it lessens their kick. These are a great appetizer for any sort of gathering and I love that there are only three ingredients (ok, well, technically the bacon and cream cheese each have multiple ingredients themselves, but youknowwhatimean.) And depending on where you are in your health journey, you can choose cream cheese and/or bacon that are more healthily made. For now, we use grocery store brands. 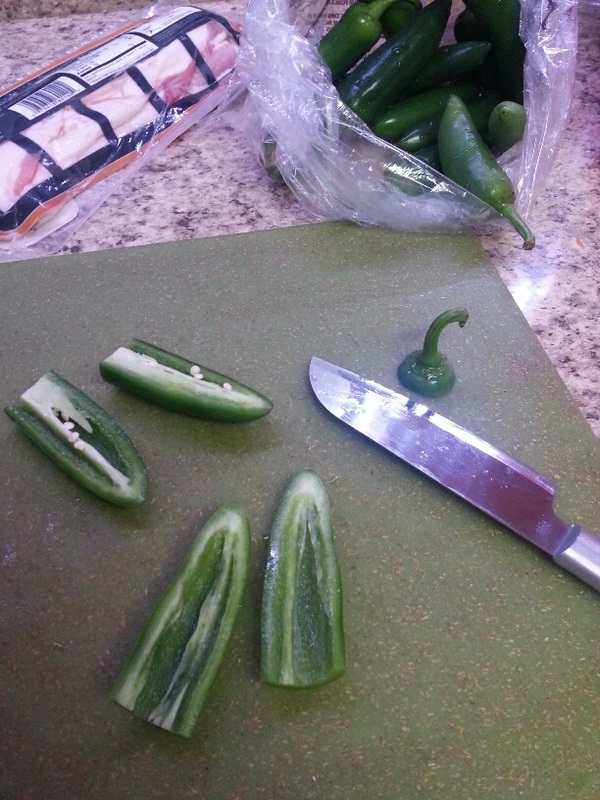 Slice the stem off the jalapenos and then slice each pepper in half lengthwise. Carefully clean out all the seeds and membranes. NOTE: you might want to wear gloves when dealing with the peppers, especially if you are sensitive. I never need to, but I make sure to wash my hands thoroughly before touching anything else. Fill each pepper half with creamcheese. 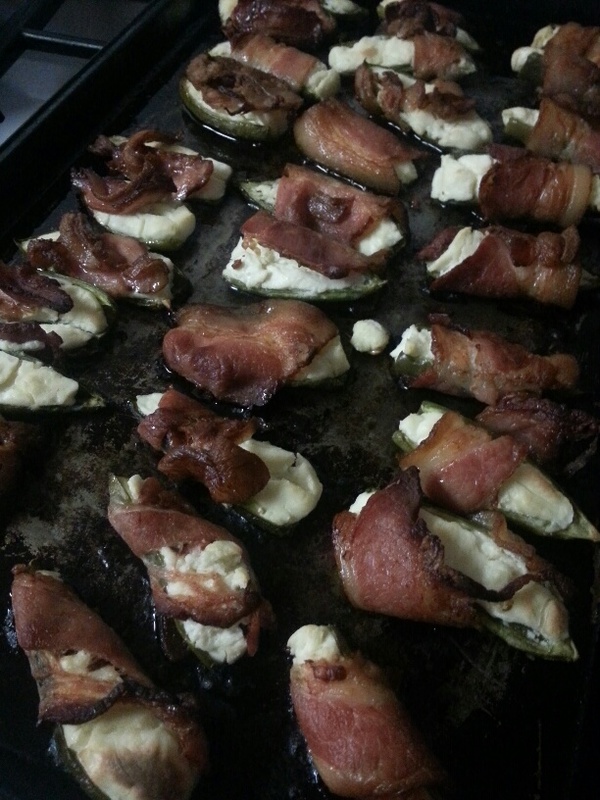 Then cut your bacon pieces in half and wrap them around the stuffed jalapenos and place on a baking sheet. Sometimes, I just lay a piece of bacon over the top rather than wrapping it. 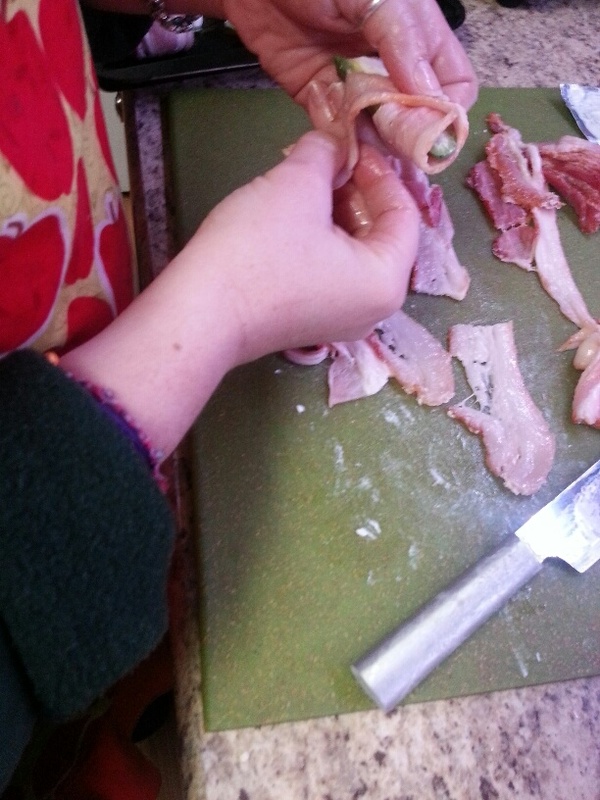 We buy thick slice bacon, and 1 lb is usually the perfect number of slices. Bake at 350° for 20-30 minutes until the bacon is crisp to your liking. Oh, my! These are delicious! Just enough heat, but not enough to send me running for the milk. Usually. Sometimes one bite is more spicy than the others and has me fanning my mouth and contemplating guzzling straight from the milk jug! But I can deal with it. If you don’t find jalapenos all that hot, you’ll have no problems. 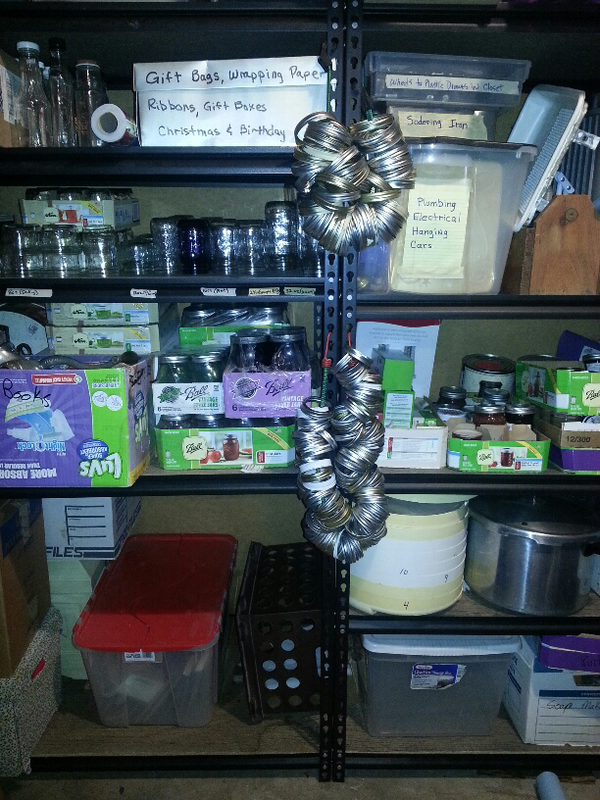 This entry was posted in "Daily Life" journaling, Food Stuffs, Homemaking, Portland Interlude 2014-2016, Recipes and tagged organization, recipe on February 8, 2016 by Maridy. I LOVE jalapeños… yum. Thanks for sharing. That Psalm is one of my favorite verses. Good job!